Pakistan all-rounder Shahid Afridi said that he will be retiring from one-day internationals after the completion of 2015 World Cup in Australia and New Zealand . 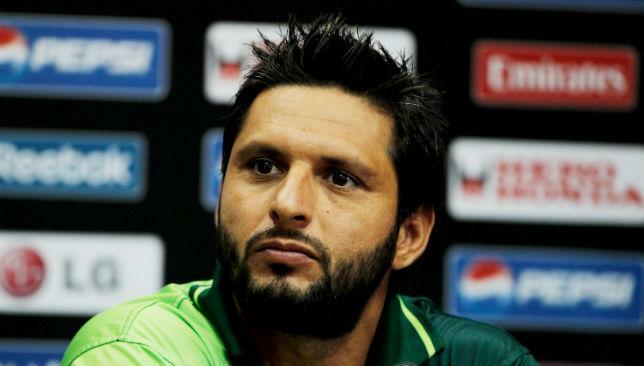 Shahid Afridi, who has played for pakistan and he played 389 ODIs, and he is all-rounder . He said that he wanted to retire from ODIs with self-respect and he was the first Pakistan player to be able to announce his retirement properly, the BBC reported. According to Afridi, it was not an easy decision to make as many of his seniors had found it difficult retire at the right time. Leading Pakistan to the 2011 World Cup semi-finals, the 34-year-old all-rounder has has played 389 ODIs since hitting the fastest century ever in history (off 37 deliveries) on his debut in October 1996 against Sri Lanka in Nairobi. The record stood for more than 17 years before New Zealand’s Corey Anderson broke this record it in January this year. Afridi has scored 7,870 ODI runs at an average of 23.49 and at strike-rate of 116.29. He has also taken 391 wickets, the sixth-highest in ODIs, at Average of 33.89 and an economy-rate of 4.62. He is best All-rounder ever .